Christian is very dedicated to his fundraising activities — he talks up the program to family, colleagues, and local realtors. For the past four years Las Campanas Compadres has held the mini tri fundraising event on the grounds of The Club at Las Campanas. This is the charity’s only fund raising event and its success ensures the continuation of this worthwhile program. This year’s event will be held on Labor Day, September 2, with expectations for 200 participants. To learn more about the event, or the program and how you can help, please visit www.lascampanascompadres.org. This is the third in a four-part series of (Sotheby’s International Real Estate “All Things Real Estate”) articles about this local and worthy charity which offers therapeutic horseback riding and swimming lessons to people with special needs. 2013 Mini-Tri Auction Items— Live on the LCC Website!!! the Las Campanas Compadres therapeutic riding and swimming programs! 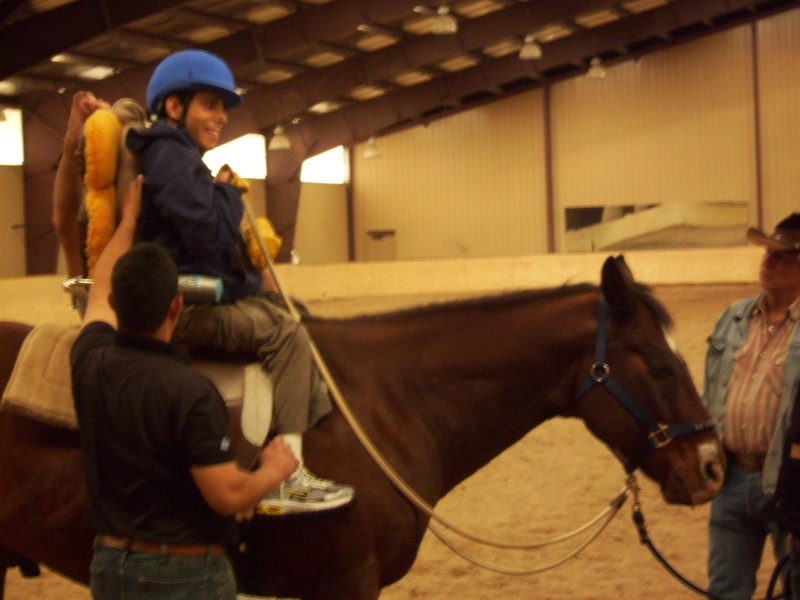 Las Campanas Compadres offers therapeutic riding and swimming lessons to people with special needs at the world-class facilities of The Club at Las Campanas. Lessons are free and 100 percent supported by private donations. John Romero has been a student since the program’s beginning. Both John and his mother, Darlene, serve on the charity’s board. John is 24 years old. 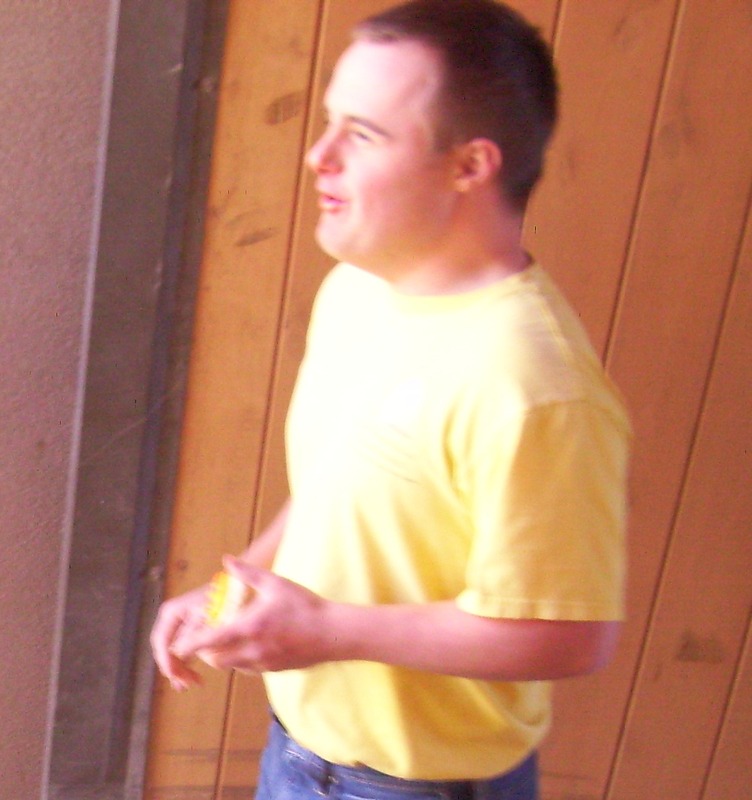 He has cerebral palsy, cortical visual impairment, and scoliosis. Currently John is pursuing a media arts certificate, is a videography volunteer during the summer with Pandemonium Productions, is a LCC board member, and represents LCC in the community to promote its programs. For the past four years, Las Campanas Compadres has held a mini tri fundraising event on the grounds of The Club at Las Campanas. This is the charity’s only fundraising event and its success ensures the continuation of this worthwhile program. This year’s event will be held on Labor Day, September 2. Expectations are for 200 participants. To learn more about the event, or the program and how you can help, please visit www.lascampanascompadres.org. This is the second in a four-part series of articles about this local and worthy charity which offers therapeutic horseback riding and swimming lessons to people with special needs.